A decade ago, people had to visit physical stores if they wanted to buy something. Today, however, you can buy everything in the comfort of your home. Thanks to sites like Amazon and other marketplaces, shopping has become easier and more convenient. Some people even buy men’s clothing online, and the numbers are increasing every year. Recent survey shows that 96% of Americans are going to the web for most of their purchases. The majority of them prefer shopping online because they want to avoid the crowds. Plus, it doesn’t take up too much of their time. While brick and mortar stores are still relevant today, it is clear that Americans prefer the convenience offered by online shopping. Buying clothes is one of the biggest challenges of online shopping. Nothing is more frustrating than paying for a pair of pants or shirt and waiting for it to be delivered to your home, only to find out that it doesn’t fit you. 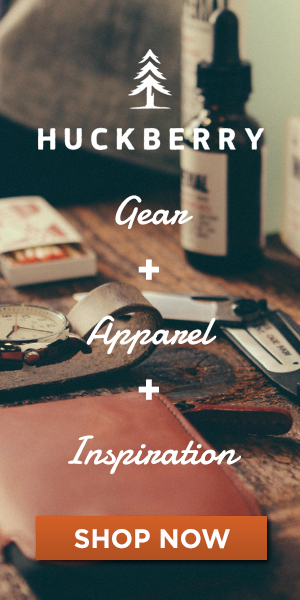 To simplify the process, we’ve put together some tips for buying clothes online. Follow these tips to make the most out of your online shopping experience. These shopping tips will ensure that you’re satisfied with your purchases and eliminate the need to send everything back. Shopping online does have its benefits, but it also has some drawbacks too. Not having the chance to try out clothes before paying for them is one of them. As a result, a lot of people receive clothes that don’t fit them. In fact, this is the top reason why people hesitate to buy apparel online. They want to avoid the hassle of having to return a shirt or a pair of pants that doesn’t fit, so they opt to visit local stores instead. To prevent disappointment and the hassle, make sure that you take your measurements. This is one of the first things you should do when buying men’s clothing online. You can’t just rely on the sizes, since they vary from brand to brand. One store’s size 8 can be another store’s size 6. If you are planning to buy a shirt, you’ll need to take measurements like length, sleeves, chest and shoulders. When buying pants, some people assume that they only need the measurement of their waist. But in order to get the best fit possible, you also need measurements such as length, hips, thighs, and rise. These are pretty handy information to have when buying clothes online. By comparing your actual measurements to the size charts, you can easily tell if the shirt is too long for you or if the pants will be a little snug on the thighs. If you have some questions about the sizing, feel free to send a message to the seller. Do not hesitate to ask questions. Most clothes are categorized by sizes – small, medium, large, XL. Keep in mind, though, that sizes vary greatly from brand to brand. As such, we recommend that you always refer to the size charts. All online stores have their own version of a sizing chart. Here, the dimensions for each size are usually listed in inches or centimetres. This will make it easier for you to choose the right size. Read the product information carefully. Some sellers include detailed information with sizing information, dimensions, garment, color, patterns etc. Check the details thoroughly. Also, pay special attention to the details regarding the fabric because the fabric will dictate whether an article of clothing will look cheap. It may look nice on picture, but if the fabric isn’t of good quality, the shirt will look cheap. You can gauge whether or not you will like the shirt based on the information given. From convenience to finding great deals and avoiding crowds, there is every reason in the world to buy men’s clothing online. Despite these benefits, some people still shy away from shopping online. Many of them still prefer to visit physical stores because they are afraid of getting scammed or receiving poor quality items. It is easy to be persuaded to buy a shirt or a pair of pants if it is on sale. But there are times when the product photos don’t look the same as the actual product. To avoid disappointment, try to read feedbacks and comments before placing an order. See what their previous customers have to say. From the feedbacks, you can tell if the products are of good quality. You can also assess whether they had a terrible or wonderful buying experience. High ratings and good feedbacks are also an assurance that you are dealing with a legit seller. To make sure that you’re buying from a trusted seller, we recommend starting your search with trusted sites. If you have been shopping online for a while, chances are you have bought from a few sellers. Ask yourself, how was your experience with them? What can you say about their products? The next time you plan to go on a shopping spree, try to come up with a list of sellers you have bought from in the past. Also, what size shirt or pants did you get? Buying from sellers you have already dealt with before eliminates the fear of getting scammed or receiving shoddy items. If you are familiar with the website, it is less likely to be a rip off. There are thousands and thousands of products online. With so many options, you can easily fill your shopping cart in just a minute or two. Some sellers offer deals you can’t refuse, but try to resist the urge to buy the first jacket or sweatshirt you see. Try to do a little sleuthing before you click the “Buy Now” button. One of the beauties of online shopping is that it gives you an opportunity to compare similar items. Try searching different sites to see all the available options. Shop around until you find the best deal.